Safety measures and precautions are vital when handling or using dry ice, both for your safety and the safety of everyone around you. Dry ice is a versatile material with many practical and entertaining uses. It is fascinating to play and experiment with it. Dry ice is essentially safe, but like most chemicals, it is not all fun and games. Safety measures and precautions are vital when handling or using dry ice, for your safety and the safety of everyone around you. Dry ice is especially useful because it is chilled at negative 109.3 degrees, to be exact. Touching anything this cold with bare skin can lead to very severe freeze burns and frostbite, depending on how long your skin is in contact with it. Never hold or touch dry ice without gloves, and wear insulated gloves if you can. You should also keep dry ice out of reach of kids and pets so they don’t accidentally touch it. Finally, dry ice should not be used in food or drink where it might accidentally be swallowed. Ingestion of dry ice can cause serious injury and you should seek immediate medical help if you accidentally ingest it. Dry ice sublimates instead of melting, which means that it converts directly from a solid state to a gaseous state. 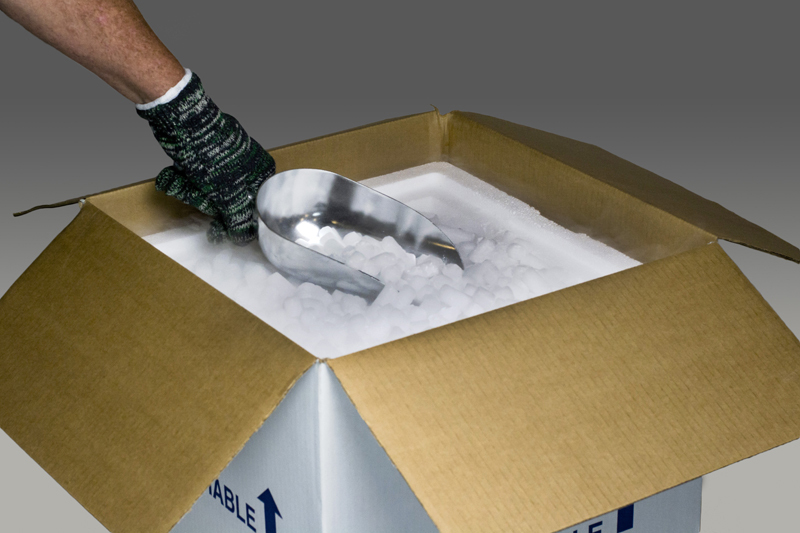 When storing dry ice, you should use an insulated but not airtight container. The insulation will help slow the rate of sublimation so that your dry ice lasts longer. The storage container should allow some of the CO2 gas that results from the sublimation process to escape, however. If the container is airtight, the gas will build up until the container expands and maybe even explodes. CO2 is a normal and safe part of the air we breathe, but only at certain levels. When CO2 builds up in the air, it can cause people to suffer from shortness of breath and even suffocation. Dry ice should never be used in an enclosed environment, and if it stored somewhere closed up (like a car or walk-in fridge) for more than 10 minutes, you should air out the area before entering. If you’re working with or transporting dry ice and you start to feel lightheaded, leave the area for 10-15 minutes to clear the CO2 from your system. This entry was posted on Friday, February 15th, 2019	at 2:57 PM	and is filed under Dry Ice Safety	. You can follow any responses to this entry through the RSS 2.0	feed. Both comments and pings are currently closed.